During the past 10 years of war in Afghanistan, thousands of troops have died and thousands more have been wounded. A look at the statistics from the war reveals some broad and basic trends: The casualties have increased steadily every year, with a jump in the past three years of the war, a sizable number of the troops who have died are relatively young and many of the casualties have occurred in the southern part of Afghanistan. 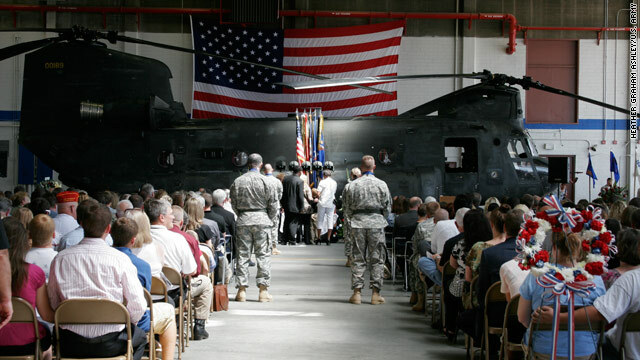 Friends and family members attend a memorial service in Olathe, Kansas, on August 14 for those troops who died in the August Chinook helicopter crash. August has been the deadliest month for U.S. forces in Afghanistan since the conflict began nearly 10 years ago. 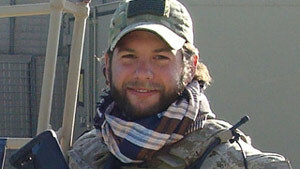 Brian R. Bill was among those that died in the August Chinook crash. Sixty-six American troops have died this month, topping July 2010 when 65 troops died, according to a CNN tally. Almost half the August troop deaths took place on August 6 when insurgents shot down their helicopter in the eastern central province of Wardak. The Taliban claimed militants downed the helicopter with a rocket-propelled grenade. Thirty U.S. service members - including 17 Navy SEALs - were killed in that attack, the single largest loss of life for U.S. troops since the Afghan war began in late 2001. In contrast, 36 U.S. service members were killed in all of July. Prior to the August attack, the most U.S. troops killed in a single month this year was 47 in June. A "surge" of 33,000 additional troops in 2009 - in response to increased insurgent attacks - led to an uptick in U.S. deaths over previous years, with 499 killed in 2010. Prior to the surge, the most U.S. troops killed in a single year was 155 in 2008, according to CNN figures. The surge in U.S. deaths comes as NATO is drawing down and handing over security control to national forces. Some 10,000 U.S. troops are scheduled to depart by year's end, with all U.S. military personnel out of Afghanistan by the end of 2014. Editor's note: Rebekah Sanderlin is an Army wife, a mother of two and a freelance writer who lives near Fort Bragg, North Carolina. She writes the "Operation Marriage" blog about military family life. I was barely through my first cup of coffee Saturday morning when my husband called. He's not deployed now, but had to spend Friday night training at Fort Bragg. He'd heard rumors about the helicopter crash in Afghanistan but didn't know any details. I quickly jumped on CNN.com and found the headline "Dozens of Americans dead," and my heart fell like an anchor. Once together, my husband and I immediately began a roll call, anxiously suggesting names to each other of everyone we know who is deployed in Afghanistan, wondering if any of our friends might be dead. Crowds lined the roads as the body of Private Lamarol Tucker, killed in Afghanistan, was returned home. 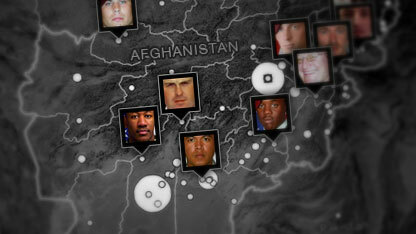 In a story from CNN's Special Investigative Unit, Drew Griffin and Jessi Joseph examine the accusations against the U.S. Army of covering up mistakes in the 2008 battle of Wanat in Afganistan. The July 13, 2008 battle at Wanat, near the Pakistani frontier, was one of the bloodiest since the Afghan war began in 2001. A U.S. force of 49, plus 24 Afghan troops, desperately fought off an attack by some 200 Taliban fighters, calling in air strikes barely 30 feet from their own positions during the struggle. 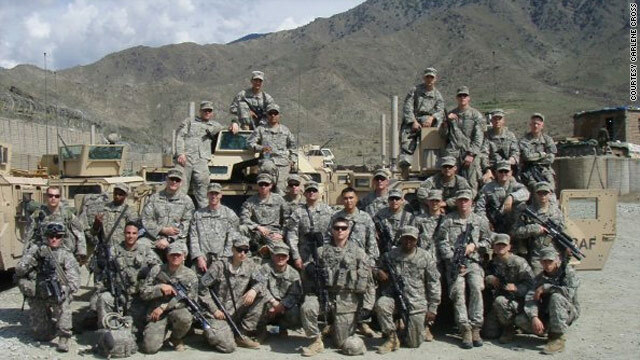 The platoon, in close combat with Taliban fighters, repelled the enemy after nearly four hours of intense fire at a cost of nine Americans dead and 27 wounded. It will go down in history as one of the U.S. military's worst battles in Afghanistan. And according to the families of the soldiers who died there, the history written by the U.S. Army is biased and inaccurate. From left, Army Spc. Rudolph Hizon, Cpl. Andrew Wilfahrt, Staff Sgt. Chauncy Mays, and Spc. Brian Tabada. It started with a Facebook status update. Upset at the media's coverage of Charlie Sheen, someone took up for American soldiers dying in Afghanistan. "Charlie Sheen is all over the news because he's a celebrity drug addict," it said, "while Andrew Wilfahrt 31, Brian Tabada 21, Rudolph Hizon 22, Chauncy Mays 25, are soldiers who gave their lives this week with no media mention. 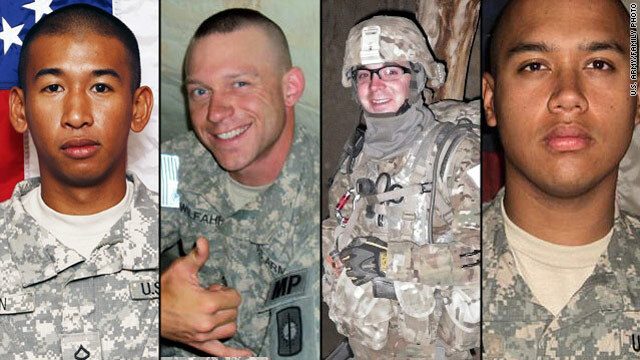 Please honor them by posting this as your status for a little while." The status update has since gone viral, shared by tens of thousands on Facebook. An abbreviated version is on Twitter. When a friend of mine posted the message on her Facebook page, it was a sobering reminder of the news media’s failings of covering the Afghanistan war. I kept returning to the names of the four soldiers. Who were these men? What’s their story? when assaults killed five coalition troops and a suicide bomber killed two people. NATO's International Security Assistance Force said the service members died in attacks in volatile regions of the country.